Travelers seeking new destination recommendations have found a new place to discover them: Facebook. Recently, the social media platform introduced a new tool to help users explore travel activities and hotel services based on the recommendations of their friends and family. With this tool, users can write a post asking for hotel suggestions, and then turn on the “Recommendations” feature to tell others that they’re seeking advice. Any responses then appear in the original post within a dynamic map that pinpoints the destination of each recommendation. If the suggested hotel has a Facebook Page, the tool will include the Page in the comments. In addition to this feature, the social network has announced a new set of call-to-action buttons that hotels can place on their Facebook Pages. These buttons make it easy for users to request more hotel information, find room rates, and make reservations. For now, Facebook has only rolled out these features on a limited basis in the U.S., but has plans to expand the service very soon. Hotel-Online shared more on how Facebook could become the one and only place where travelers look and book. 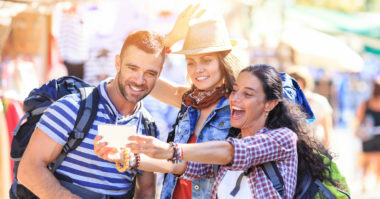 Consumers’ growing reliance on mobile and social, has meant Facebook is closely connected to today’s travel experience. In fact, research has shown that more than half of Facebook users turn to the photos of friends and family for travel inspiration. But the social network isn’t only serving as a place to browse through travel photos, it’s also being used as a powerful research tool, with 87% of Millennials now checking out Facebook before booking a trip. Facebook’s appeal as a convenient and trusted location for personal recommendations has industry experts predicting that Facebook will be used much more frequently for travel research in the coming years. And this may offer a wide variety of benefits to hotels. If Facebook could introduce new tools to hotels, it could completely change the way that travelers make their destination decisions. It would eliminate the need to visit online travel agencies (OTAs) because users would simply ask their friends and family for travel advice instead. This would lead to a much more open forum of search. And if Facebook emerged as a major travel influencer, it would become essential for hotels to focus even more on providing incomparable service and an outstanding guest experience because these factors would make people more likely to recommend a hotel to others. Thanks to the emergence of customized call-to-action buttons that hotels can place on their Facebook pages, hotel marketers and brands have many more opportunities to connect with travelers online. In addition, customers can also communicate with a hotel brand via Facebook Messenger. These Facebook features make it possible to get a friend’s hotel recommendation, contact the hotel for information, and then reserve a room all within a single Facebook visit. If the social network continues to provide these travel-related tools, it may revolutionize how travelers research and reserve their trips. 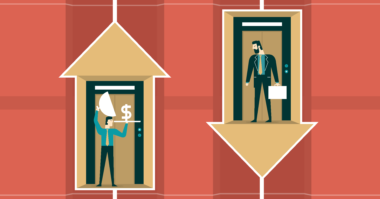 Will OTAs Lose Their VIP Status? Currently, it’s highly likely that travelers who choose a hotel based on a Facebook recommendation will ultimately book through an OTA. Following a recommendation, travelers are likely to search for the hotel on Google. And OTAs usually appear at the top of search results, close to the hotel’s website. In most cases, people choose to click on the OTA link, but this could completely change if Facebook starts offering both hotel recommendations and direct booking links, all within its platform. This would prevent Facebook users from having to leave the social site and search through a hotel’s web page for the booking information they need. 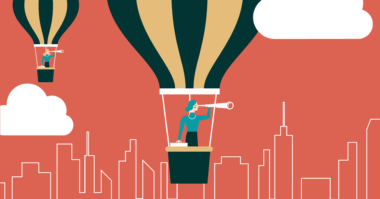 Explore the latest tools and tactics for hospitality marketing. Contact MDG Advertising.